The main goal of our research is to better understand collective scattering of light from ordered and disordered clouds of ultracold atoms, in particular superradiance and photonic bandgaps. 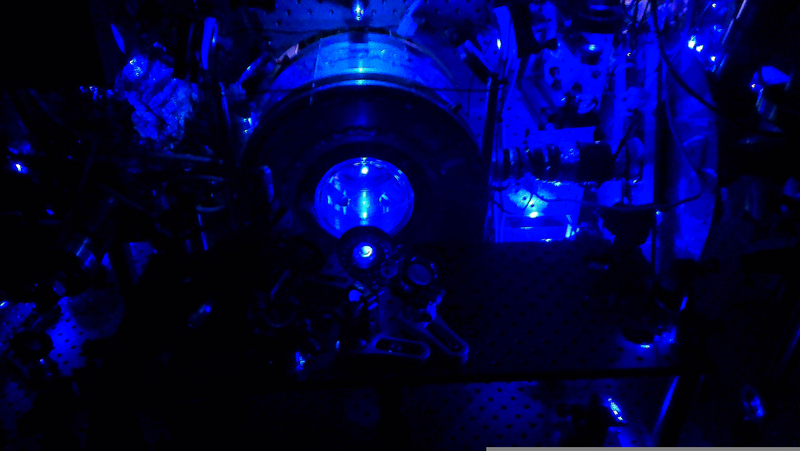 For this purpose are setting up an experimental apparatus for cooling strontium down to quantum-degenerate temperatures and trapping it in optical lattices. The cloud's response to incident light reveals the nature of the collective interaction. FAPESP grants for PhD available ! We offer two FAPESP grants for PhDs for experimental work on one of our research topics. Click here or contact us to get more information !